Alice Wheeldon lived in Derby (Derbyshire, England) with her four children Nell, Winnie, Hettie and Will; the family were all active campaigners for many social issues of the time, notably women's rights, pacifism and opposition to conscription. It was a time when Britons were increasingly vocal in their opposition to the continuing and pointless carnage of the First World War. There was desperate concern for the young men who were conscientious objectors and the British Government’s treatment of these ‘conchies’. People were scared and angry. A branch of MI5, faced with being dismantled, conceived a strategy of discovering a treasonable plot in Derby, with its munitions factories making it the heartland of Britain’s war effort. And, as the numbers of British conscientious objectors began to increase, the spin doctors of the day – for that is what they were – needed to discredit them in order to keep the populace focused on sending their sons and husbands to the trenches. A second order purpose was to deflect women’s energies (that of the mothers and the young wives) away from the women’s suffrage movement and into supporting the war effort. The Wheeldons were a typical anti-war family with William Wheeldon and Alf Mason (Winnie’s husband) both facing conscription. An MI5 agent was planted in their home to entrap the family by suggesting a facile scheme to poison the guard dogs of an internment camp in London in return for safe passages to America. Then the correspondence undertaken in obtaining the poison and various of the family’s recorded utterances were fused to fabricate evidence of a plot to kill Lloyd-George, the Prime Minister and Arthur Henderson, the leader of the Labour Party, as well as unnamed others. Alice Wheeldon, Hettie Wheeldon, Win Mason and Alf Mason were all tried at the Old Bailey with the Attorney General, and future Lord Chancellor, F.E. Smith leading the prosecution. The MI5 Agent was not present to testify in the trial so the defence could not cross-examine him on his evidence. The court proceedings appear to show that the evidence was flimsy and that the intention of the prosecution was to publicly destroy the reputations of the accused and then to convict them on that basis. Hettie Wheeldon was acquitted but the others were sentenced to varying gaol terms and their application to appeal was refused. 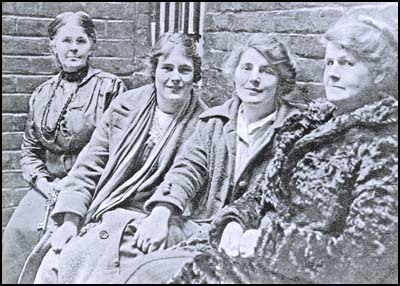 Alice Wheeldon was released early because of ill health, due in part to hunger striking. Win and Alf Mason were released unexpectedly at the end of the war. During the centenary of World War I, it is time to restore the reputation of the Wheeldons and the Masons. Derby people and the family have long been convinced that the impact of these outrageous charges has reverberated down the generations. Now Deirdre and Chloë Mason are seeking to clear their names so history will record that this was a miscarriage of justice.